1. Wave Radio/CD wont read disc. 2. 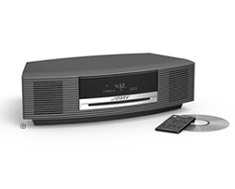 Wave Radio/ CD won't turn on, no display or display flashes "Please Wait" no remote response. 3. Wave Radio/ CD buttons on CD door not working or intermittant. 4. Wave Radio/ CD Distortion in sound AM & FM. 5. Wave Radio/ CD, CD plays ok but AM or FM is just static. These are some of the typical symptoms we have encountered with the Bose wave radio. We use original replacement parts. 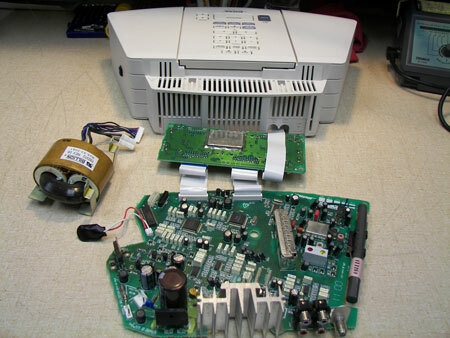 Each piece of Bose equipment we receive is inspected and checked for current revisions and upgrades. Please note: we DO NOT repair 3 CD expansion units. Flat Rate overhaul / refurbishing and upgrades for models AWRC-1P, AWRC-1G, AWRCC1, AWRCC2 is $249.95 parts and labor plus return shipping and handling. Additional charges may apply for water, lightning or physical damages. 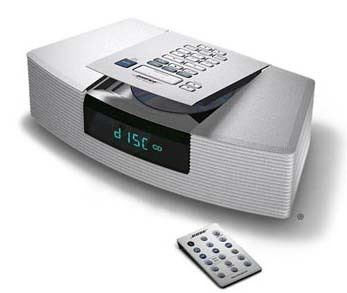 All Bose radios have a display dimming circuit that will automatically dim the display as the ambient room lighting gets lower. The intent is so the display doesn’t bug you in a dark room by being to bright. Sometimes this automatic dimming can be unpredictable as to when it will dim. If the radio is in the kitchen or any other room besides the bedroom, you may not want the display to dim at all. We can disable the dimming function so the display is at full intensity all the time. You may request this modification and there would be no additional charges to an existing repair bill. Refer to your owners manual for additional information about display functions. Wave Radio Poor FM Reception? 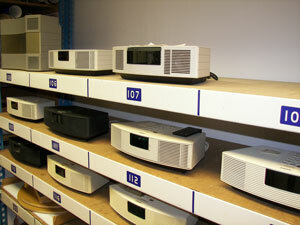 Customers often complain of poor FM radio reception when sending in their radios. 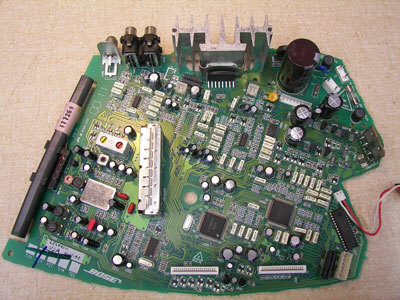 Most Bose Wave radios have internal circuits that use the AC power cord (and house wiring) as an FM antenna (not applicable to models AWRCC1 and AWRCC2). This is a convenient method to receive FM signals but has its drawbacks. One is, it’s impossible to change your house wiring to optimize signal level. You are limited to repositioning the power cord to improve reception. Two, house wiring may have all kinds of undesirable signals from other equipment, dimmers and appliances. Wave radios also have an external FM antenna jack. So which is better? The external jack is! An external antenna can easily be repositioned to improve reception of your favorite radio station. Also, an FM antenna is designed to maximize the signal level of FM signals only. The problem is it’s not optimal to have 2 antennas on 1 radio. This will cause a mismatch with mixed results. If you live in a metro area close to the radio stations then the power cord antenna may work fine. You may also add an external antenna which may help or may not. If you have difficulty receiving a clear signal of distant stations, we can help. 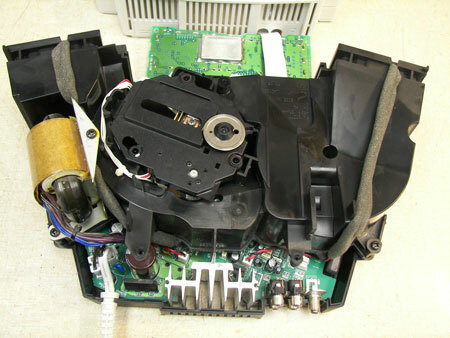 To maximize the receiver sensitivity, the power cord antenna circuits inside the radio need to be disabled. This will improve the match between the external FM antenna jack to the tuner. Tests have shown a sizable increase in radio sensitivity! Keep in mind if we do this modification to your radio, you will need to have an external antenna connected for FM reception. We have antennas available for purchase at $14.95. 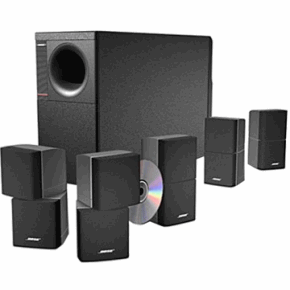 Bose®, Wave®, Acoustic Wave®, Lifestyle®, & Acoustimass® are registered trademarks of Bose® Corporation, All rights reserved.